Our designer Roman blinds are quite simply something special. More traditional in design, and offering a softer, elegant look, they are quite stunning when printed with one of our superb Gallery images or with your own photograph to create a window dressing that is truly unique and individual to you and your home. 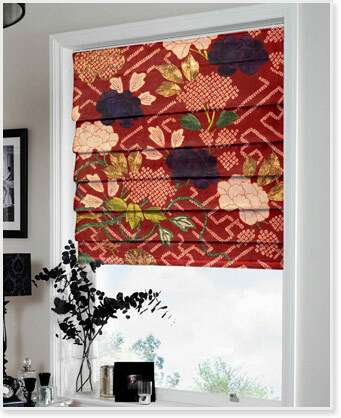 Our Gallery images will appeal to all tastes and styles, and include a great range of images for children's blinds. Roman blinds offer some of the elegance of curtains, but are more versatile and space-saving, covering just the window, rather than requiring wall space either side. Our printed Roman blinds are available in both regular and blackout fabrics, and, if you'd like to personalise your Roman blind further, why not consider a special finish, for example a scalloped bottom edge or eyelets?